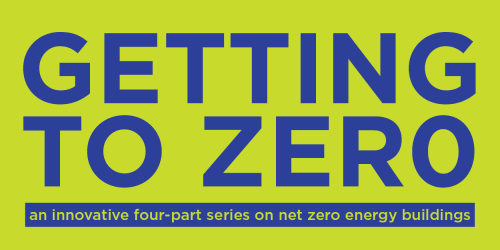 Part one of a four-part series, Getting to Zero’s Session 1: “Market Realities & the Value Proposition for Net Zero Energy Buildings” introduces the Getting to Zero program, provides an overview of the state of net zero energy building design, and explores how we define value for net zero energy buildings. Following sessions in this series will delve into design; construction and project hand-off; and ownership and long-term operations. All sessions will explore the cross-cutting themes of identifying and overcoming barriers to change, and are intended to provide continued technical “how to” content, as well as to address new content related to marketing, financing, developing, and operating net zero energy buildings. Each session will use a combination of lectures and case-study exploration, and will conclude with takeaways, tools, and resources pertaining to each session focus. Getting to Zero is a four-part series. Registration is for the complete series. Classes are not sold individually. Define key terms for the design, construction, and operations of net zero energy buildings, while being able to identify integrated approaches needed across disciplines. Understand current data on net zero energy building design, technical highlights, and limits by examining a variety of key project examples that demonstrate barriers and strategies in the field. Define key factors in making a business case for net zero energy, analyzing lifecycle value, and identifying measures for occupant productivity and satisfaction. Define current market limits of net zero energy project types, overall project financing, and market value of on-site renewable energy. This series was made possible thanks to an AIA National Innovation Grant. Special thanks to our 2014-2015 Getting to Zero Sponsors, and the City of Seattle Office of Sustainability & Environment for contributing space for this event. Contact AIA Seattle Program Manager AV Goodsell. Contact AIA Seattle Membership Manager May Ruiz.